This was a book and calendar about Indonesia, with photographs, artwork, and writing by Barbara Anello, a wonderful and inspiring artist who lives in Bali. 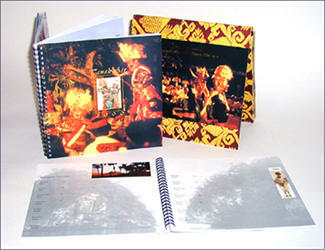 The book was sponsored by the Sheraton Laguna, Bali. This is a catalog for Fire & Water's line of lighting and furniture. 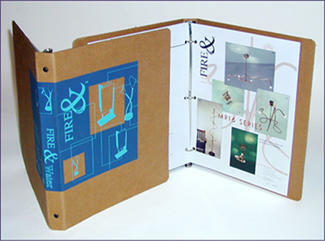 Since Fire & Water uses environmental and recycled materials, we had a great time, utilizing recycled cardboard binders, and silkscreening a cover design on them. Lori Greenberg was the ad/promo art director at Tor/Forge, from 1994 - 1996. Tor/Forge publishes a great deal of science fiction, which is easy to have fun with from a design perspective. 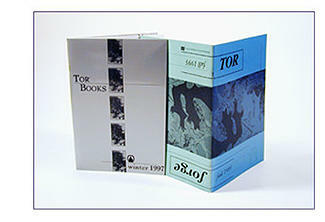 Some of the creative projects for Tor/Forge included designing the covers for their seasonal catalogs. Wolf-Gordon is a wallcovering company located in New York. 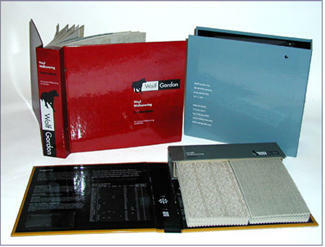 One of the projects that we do for Wolf-Gordon is help design their sample binders. 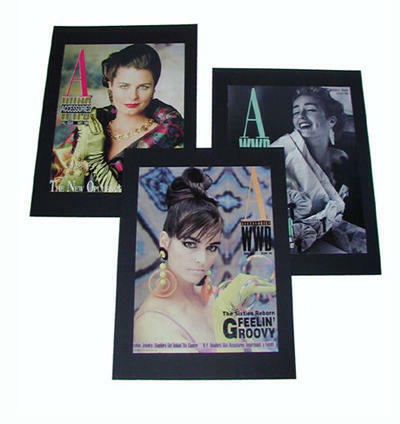 As an accessories editor at WWD/W, Lori Greenberg coordinated photo shoots, scouted locations, casted models, and was a wardrobe and prop stylist. The photos shoots took place at such fabulous New York locales as the Rainbow Room, Maxim's and the Palladium.